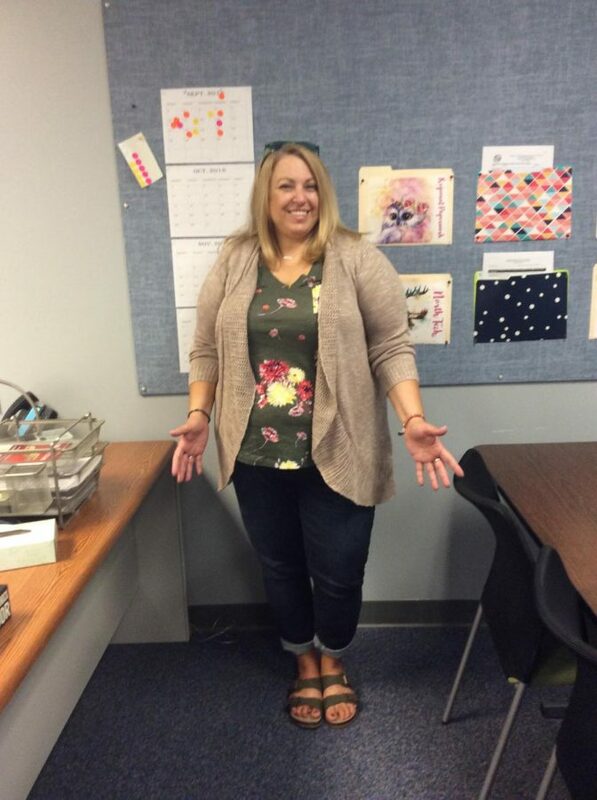 Ms. Lisa Craig, a new SSD teacher at Pattonville High School, grew up with a bunch of friends and was an athlete, so she had to be good at relationships. She carries that mindset into her new role in the classroom. Craig originally wanted to be an athletic trainer in life and even she got a degree in Exercise Science. She was an athletic trainer around various high schools in St. Louis County but then life changed for her. She worked in a daycare and then became a para for 8 years in another school district before getting her masters degree in teaching in order to make a bigger impact in education. She loves working with kids now, watching them grow and really seeing a difference she can make in them. Craig said she has challenges with the kids, but it’s a matter of talking to the kids and helping them in any way possible whether it is work related or a real-life situation. She focuses on both the kids’ strengths and weaknesses because she can use their strengths to push the kids forward. A personal strength for her as a teacher is she makes the class fun by using humor and games to make the class enjoyable for the students.